German TADF developer Cynora presented its latest blue TADF material in May 2018 - with a CIEy of 0.14, EQE of 20% and a lifetime of 20 hours LT97 at 700 nits. Cynora expects to have blue material in the mass production by 2020. Cynora's Chief Marketing Offer, Dr. Andreas Haldi was kind enough to answer a few questions we had regarding TADF emitters, the differences between next-generation emitter technologies, lifetime, color points and more. 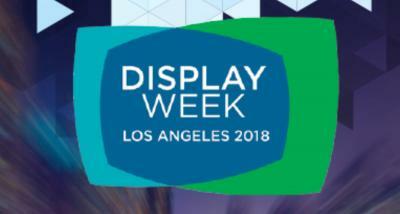 SID's DisplayWeek, the industry's leading trade show, is taking place in less than two months. The OLED-Info team will attend this event, and my good friend Sriram Peruvemba, SID's marketing chief, was kind enough to discuss the upcoming event with us. Hello Sri, thanks for your time with this interview. SID's DisplayWeek has always been the world's leading display trade show. What can you tell us about the upcoming 2018 edition? Ron - yes SID Display Week is the the world’s leading display trade show, but Display Week is so much more than a trade show. It is the world’s leading technical learning, sourcing and buying event focused on emerging electronic display technologies, their advancement, commercialization, and growth. UK-based SmartKem is developing a new class of flexible high-mobility p-type semiconductor inks for flexible displays. The company recently made headlines as it started its commercialization phase and announces advances in its collaboration projects with OLED producers in Asia. SmartKem's CEO and founder, Steve Kelly, was kind enough to answer a few questions we had on SmartKem's technology and business. Steve is an international business professional with more than 20 years’ experience specializing in technology ventures, particularly early stage. He has extensive experience in Intellectual Property exploitation, VC funding and launching new technology to market. Q: Steve, thank you for your time and for this interview. Can you first give us an overview of SmartKem’s OTFT technology? 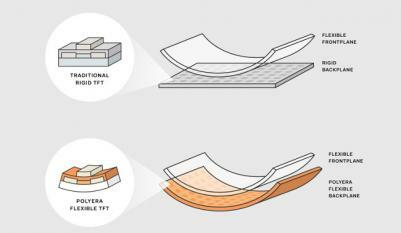 SmartKem’s organic thin film transistor (OTFT) backplanes are designed for both glass and flexible displays. They are compatible with electronic paper displays (EPD), liquid crystal displays (LCD) and organic light-emitting diode (OLED) technologies. Through our sophisticated modelling and simulation, they have sufficient driving capability for OLED and potentially, microOLED displays which offer increased contrast, response times and energy efficiency. OrelTech is an Israeli-based early stage company that commercializes a unique printed electronics technology based on novel conductive ink and production process. OrelTech's Head of R&D, Konstantin Livanov, was kind enough to explain the company's technology and business. Dr. Livanov received his PhD in chemistry from Weizmann Institute of Science, and his expertise is in surface chemistry, nanomaterials, composite materials and electron microscopy. Q: Hello Dr. Livanov, thank you for your time. First, can you explain ORELTech's process and technology? Sure. We are doing conducive ink for advanced applications in printed electronics. The advantages of printed electronics are obvious: drastically reduced manufacturing costs due to simpler equipment, fewer fabrication steps and shorter throughput time. However, most organic devices, including OLEDs, are not printed. We could however print them if we could print metal layers at low temperatures. Right now most of them are assembled or deposited in high vacuum. In May 2017 Cynora announced a new blue TADF emitters that achieves a 15% EQE at 1000 nits with an emission peak of 470 nm and a LT97 of > 90 hours (at 700 nits) on a device level. Cynora has stated several times that it aims to commercialize its first highly efficient blue TADF emitter by the end of this year. According to Cynora, the performance requested from customers is an EQE (at 1000) of over 15%, a lifetime (LT97 at 700 nits) of over 100 hours and a wavelength of 460 nm (color purity FWHM 60 nm). Dr. Andreas Haldi was appointed as CYNORA's Chief Marketing Office in 2016. CYNORA develops efficient blue TADF OLED emitters, and Dr. Haldi was kind enough to participate in this interview and help us understand CYNORA's business and technology. Q: Thank you Andreas for helping us understand CYNORA's business and technology better. CYNORA has set up on a focused mission to develop a commercial blue TADF emitter. What will you consider to be a market-ready material, in terms of lifetime, efficiency and color point? 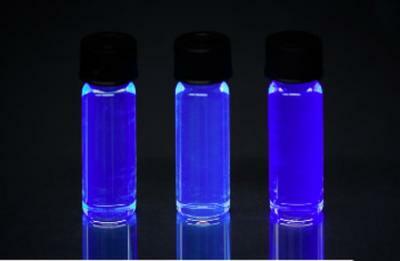 For the last 5 years, CYNORA has worked on developing thermally activated delayed fluorescent (TADF) OLED emitters. End of 2015 we started to focus on efficient blue materials, which are still a key issue for OLED displays. Compared to the red and green pixels, the blue pixel is much less efficient. An increased efficiency of the blue pixel would therefore significantly reduce the power consumption of the display. 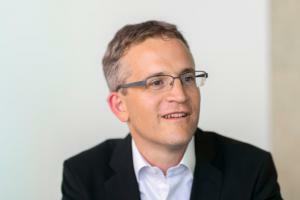 Kateeva recently announced a large $88 million Series-E funding round, and the ink-jet equipment maker today announced that Ink-Jet guru Eli Vronsky has been promoted to the company's Chief Product Officer. During our recent visit to San Francisco, we caught up with Kateeva’s executive team on a break from their presentations on inkjet printing for flexible OLEDs. Chief Product Officer Eli Vronsky gave us an update, as well as an overview of the company’s product strategy. Idemitsu Kosan is a large multinational Chemical company based in Japan that is supplying OLED materials for OLED producers. Idemitsu has OLED business units in Japan, Taiwan, Korea and China and is collaborating with UDC, LGD, AU Optronics, Doosan and others. Hajime Nakamoto, the head of the Electronic Materials Department at Idemitsu was kind enough to answer a few questions we had. Mr. Nakamoto joined Idemitsu in 1984 and has been involved with OLEDs since 2007. Q: Hajime, Thank you for your time. Idemitsu has been one of the leaders in OLED materials for a very long time. Can you tell us what kind of materials you currently offer for OLED panel makers? Idemitsu offers almost all kinds of OLED materials to OLED panel makers. Idemitsu is particularly well-known for its fluorescent blue host and dopant materials and transport materials, which offer advantages to OLED panel makers. In August 2015 Polyera, a US-based OTFT backplane developer, announced their first product, the Wove Band flexible E Ink smart band, to be released in the second half of 2016. Our sister-site E-Ink-Info posted an interesting interview with the company's Special Projects VP, Brendan Florez. Brendan explains the company's OTFT backplane technology and details Polyera's business and goals. Polyera's backplane has been demonstrated to drive an OLED display in the past, so hopefully OTFT OLEDs will be coming from Polyera in the future. Read the full interview here.